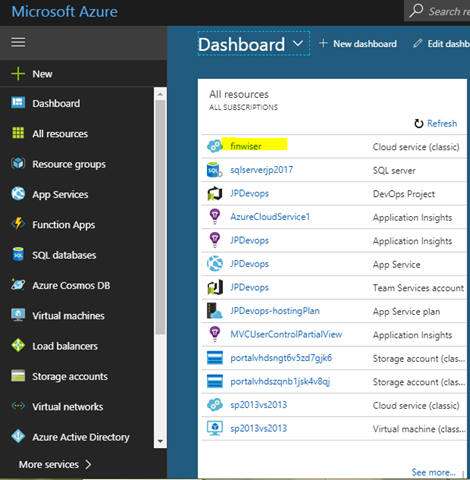 Azure Remote Desktop Access – Microsoft Azure Articles.. In this article we can explore how to access an Azure machine using Remote Desktop or RDP client tool. 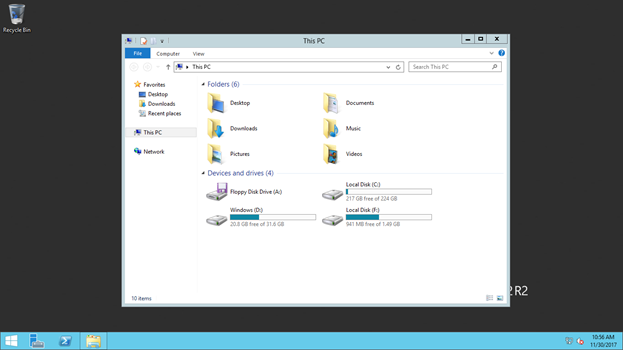 This feature provides flexibility to view the folders & files, set up diagnostics etc. Open Azure Portal. You should have at least one Cloud Service instance. Click on the Cloud Service item. 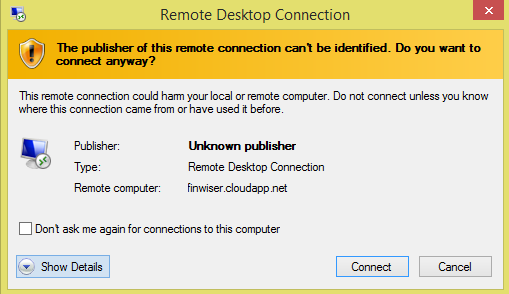 In the appearing view click on the Remote Desktop item. Click on the Enabled button & Enter the Credentials. Click the Save button on the top to save changes. Now click on Roles and Instances menu, Click on the Web Role Instance & Then Connect button on the top. You will get an RDP file downloaded. Double click on it to open the dialog. Enter credentials. Now you will get the VM opened like below. The Azure VM will be a Windows Server 2012 operating system & the Web Application can be found in E drive. 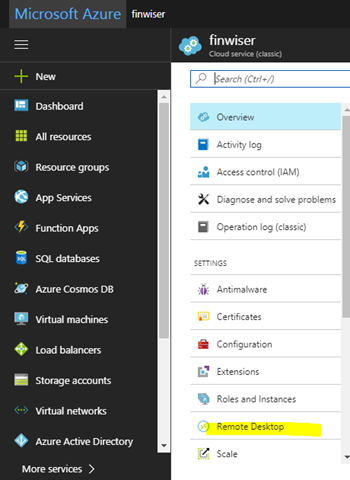 In this article we have explored how to use Remote Desktop to Azure VM.